Hi there, my name is Thomas and I'm new to devianart. I'm looking forward to get to know some friends here especially those who love classic car art and exchange ideas. I'm also learning and trying to improve my artwork as a hobbyist. Nice to meet you all and have a great day. Inspired by vw beetle from my Pinterest collection, I have created this graphic illustration of this stunning custom silver 1303 RSR vw bug. Like and Share with your friends who would love this . Feel free to comment and advice. 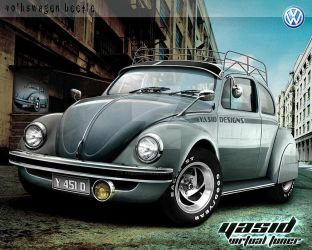 Inspired by vw beetle from my Pinterest collection, I have created this graphic illustration of this good looking custom vw bug. Like and Share with your friends who would love this . Feel free to comment and advice. 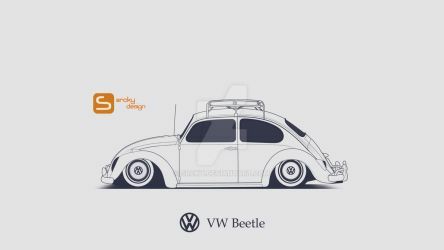 Inspired by vw beetle from Instagram profile volks_ville, I have created this graphic illustration of this good looking vw bug. Like and Share with your friends who would love this . Feel free to comment and advice. Inspired by vw beetle from Instagram profile Fusca_demenina, I have created this graphic illustration of the good looking vw bug. Like and Share with your friends who would love this . Feel free to comment and advice. I love classic and timeless automotive. Putting them together in a digital illustration is my hobby. I hope my work will touch people from all walks of life. THANKS FOR ADDING MY PICTURE TO YOUR FAVOURITES. You are welcome!!. Nice work.. Keep it up!! Hey, you are welcome. You have a great drawing skill.. Keep it up. Hey there, thanks for the message. You have a great day too..